Braids date back to the times when the queens used to braid their hair and either leave it or tie them in a bun as a sense of pride. Only the queens and the important ladies of the fraternity used to braid their hair because it was a sign that they are from the royal family. They would even use hair extensions to make sure the braid is in perfect sync with the rest of the hair. 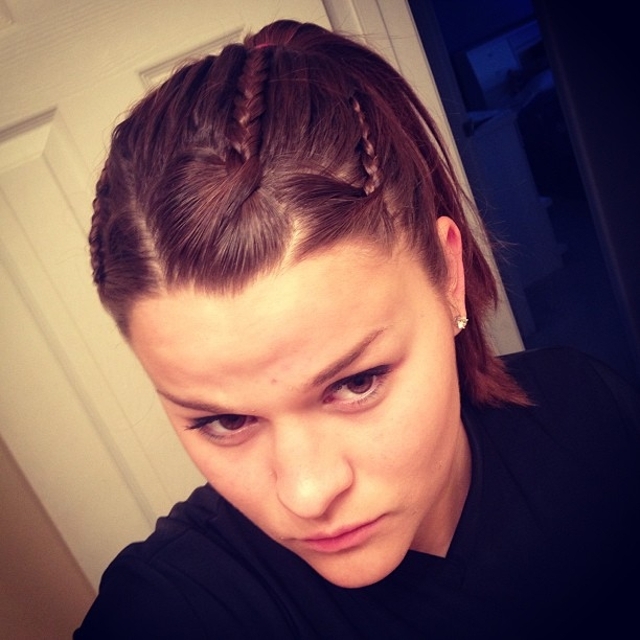 The tradition didn’t carry on but of course the hairstyle did. 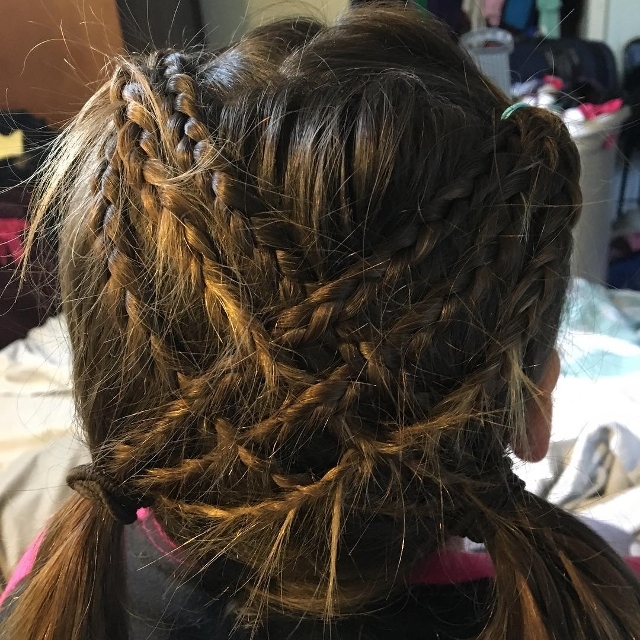 It was later known as the triple braid hairstyle. 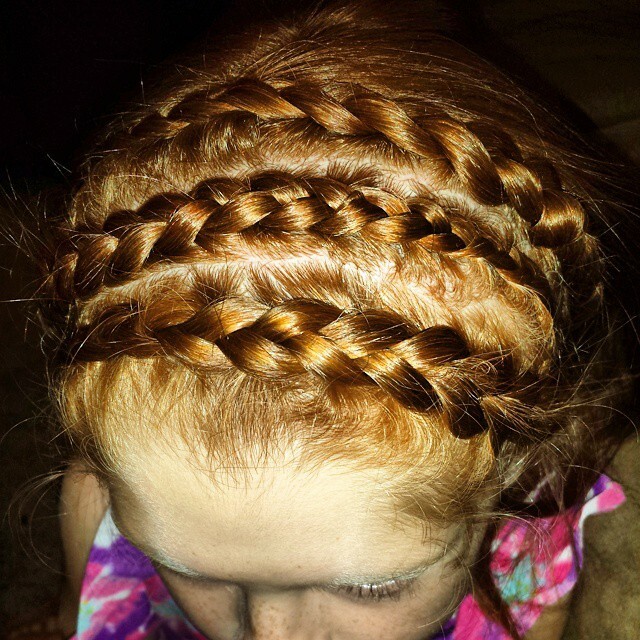 We found some amazing triple braid hairstyle designs and they are as follows. 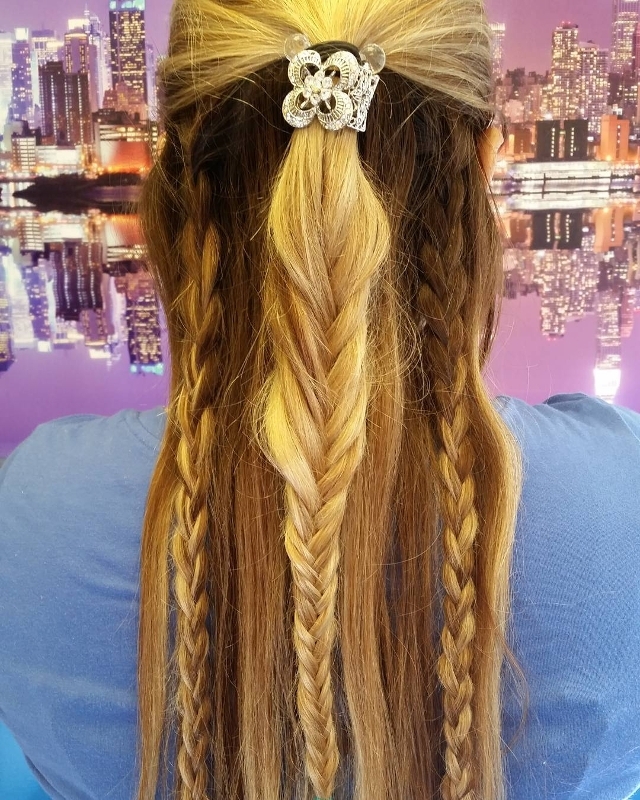 Make your long beautiful hair look gorgeous with the waterfall braid. Take few strands of hair and tie few into a braid each. 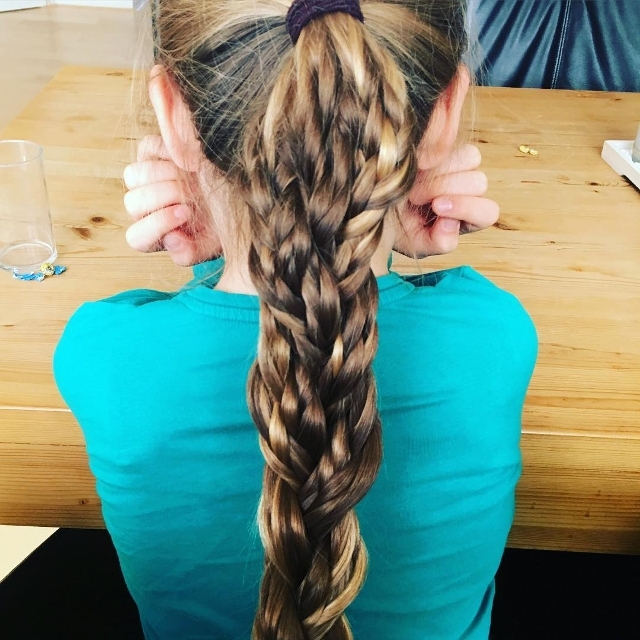 Make three braids and take them from the one end of your head to the other and push them back to make it look like one braid with the support of a clip. Make sure you leave the rest of your naturally. This hairstyle will look absolutely glam. 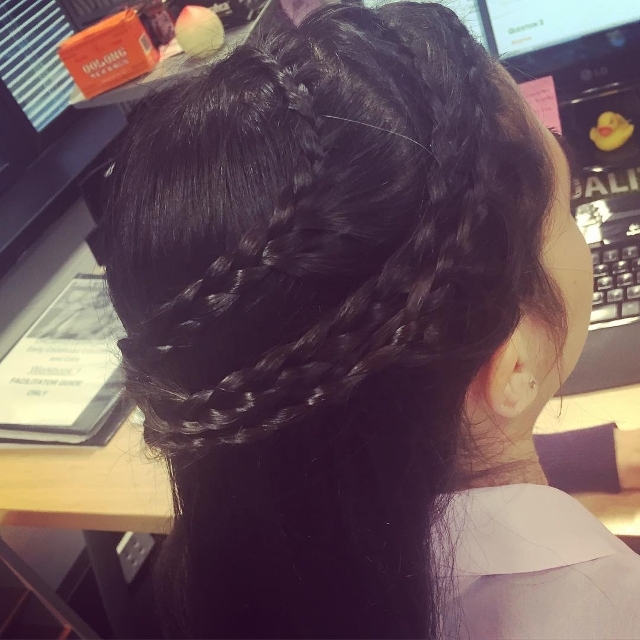 It might look a little complex but this hairstyle will look on top of the world. 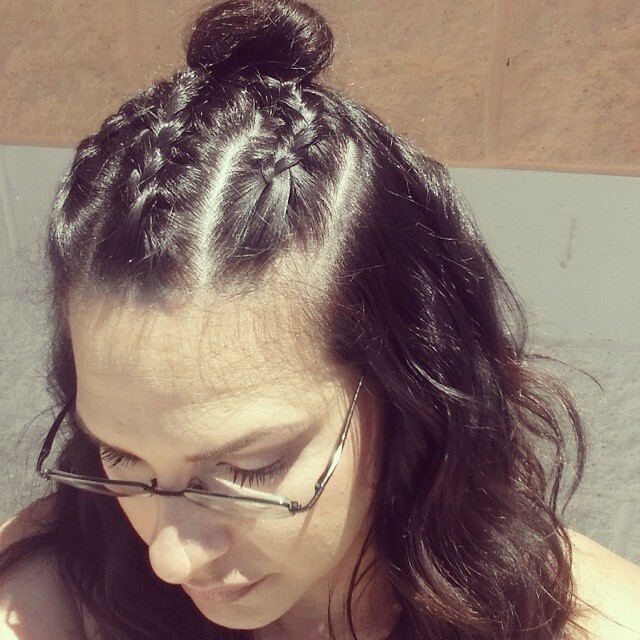 This braided hairstyle helps keep your forehead free of any hair. 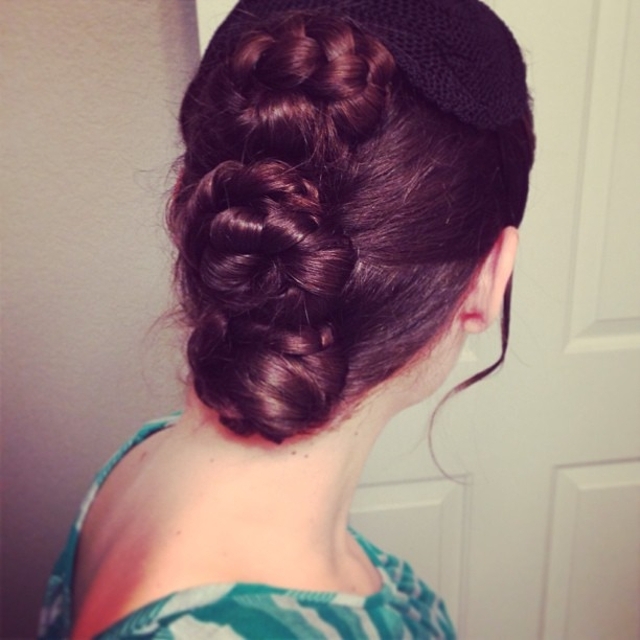 All you have to do is French triple braid your hair till your crown and tie the rest of your hair into a bun. Hassle free days are here with a hairstyle like this. A new style everyday will always put you in the limelight. This is simple but that doesn’t stop it from looking uber cool. The front of your hair needs to be turned and twisted and braided into the perfect sleek French braid. The rest of your hair has to be tied into an impeccable ponytail so your French braids can stand out and get the attention they deserve. 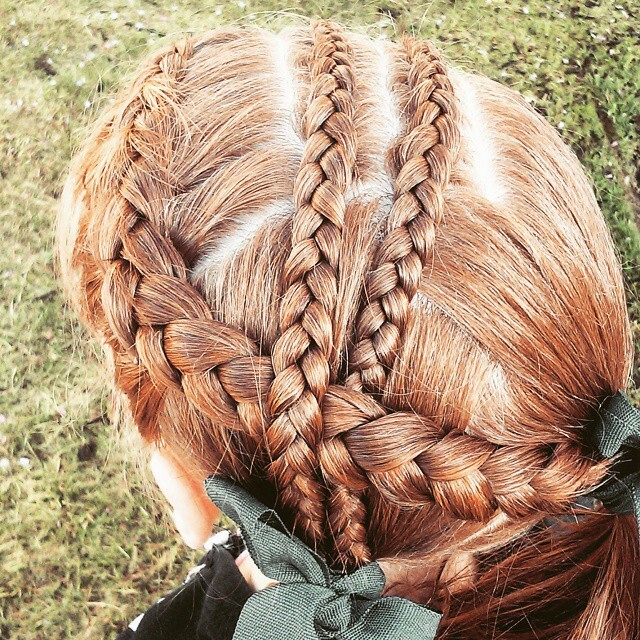 The Dutch braid takes us back in time where the prettiest queens were spotted in them. They were done during a grand ceremony or event because it is quite time consuming. 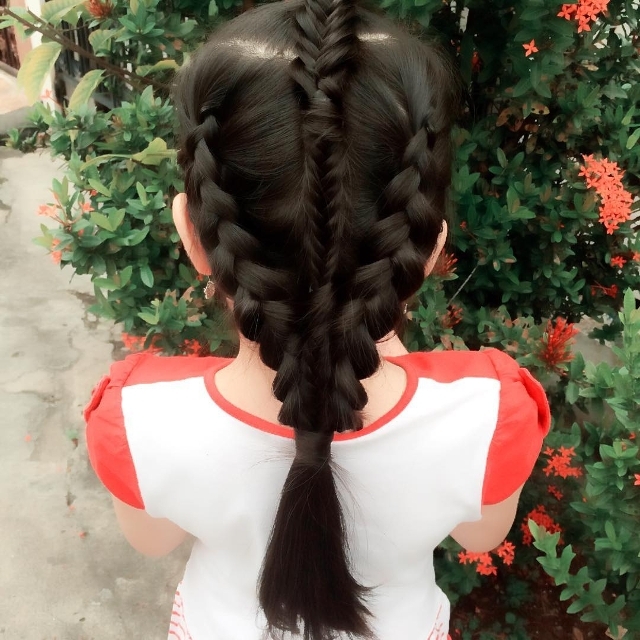 This particular Dutch Braid hairstyle is done with perfection till the tip. It is not as tightly bound as it used to be done earlier but looks marvelous the way it is done. Classy and chic have been defined in this one picture. If you have a party to go and a lovely gown with it, the doubt always lies at what to do with the hair. 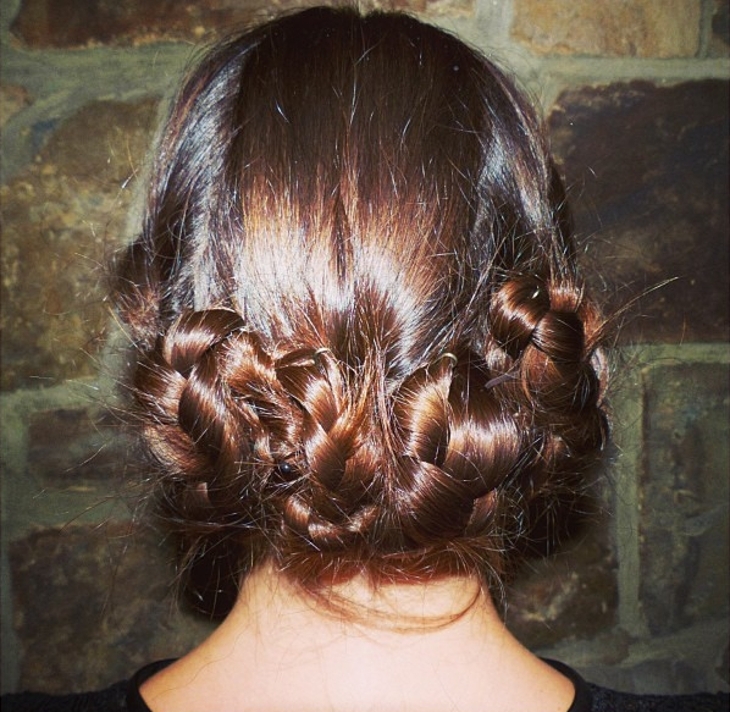 Here is one solution among many, braid your hair into three parts and tie them all up into three enticing buns. It definitely breaks monotony from the usual bun and it will make your dress and you look splendid. Who needs a headband when you can actually make on out of your hair. The twist trip braid hairstyle also dates back to the time when the queens wore this with their most gorgeous dress. Take all your hair on your crown and braid them across to make them look like headbands. This hairstyle is all about Sophisticated in style. Tie few strands of hair into a single braid on the side. Where as the rest of your hair, tie it into a bun. This is not just a mere bun it is a braided bun. 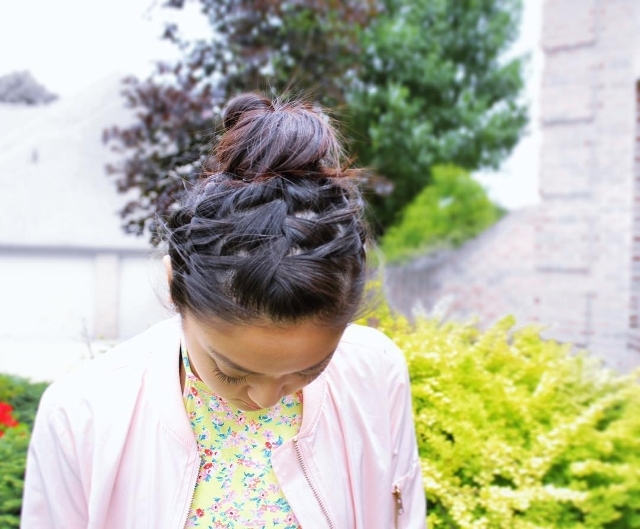 Braid your hair first and tie it into a bun to make it look like the most stylish hairstyle. This hairstyle is a combination of simplicity and comfort. Three portions of your hair can be braided with a wide partition between each braid and tie the rest of your hair into a half bun. The half bun is in fashion right now. 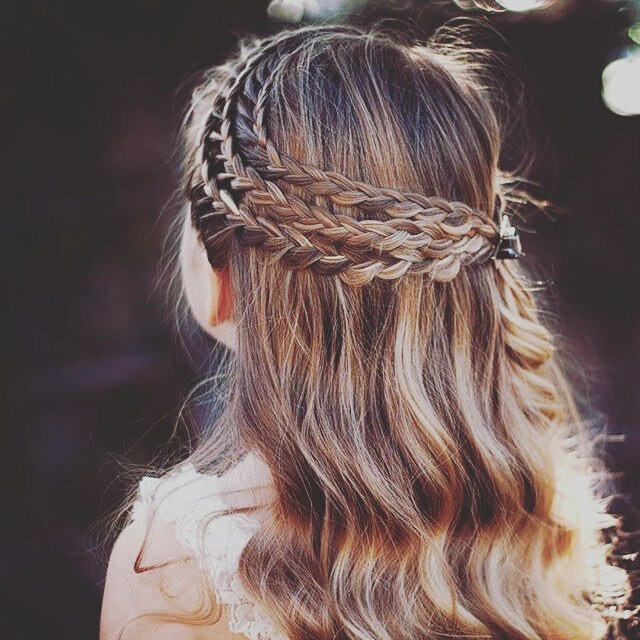 Your long lustrous hair can be made to look like a fairytale princess’s hair. 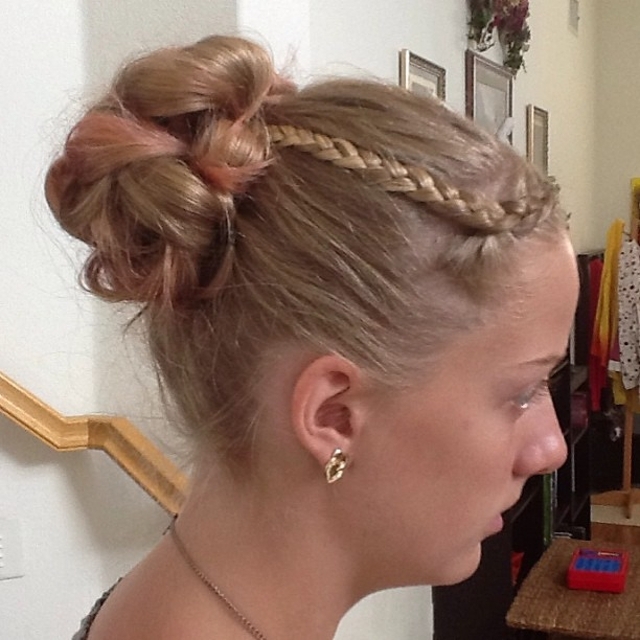 Use a broach to pin the center and the rest of the hair can be used and divided into three beautiful braids. 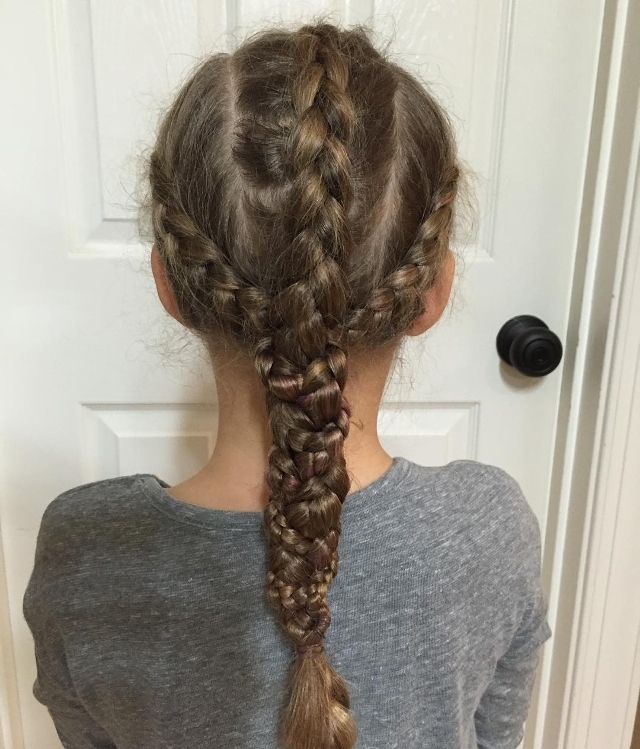 If you want to braid your hair, you have to do it stylishly. 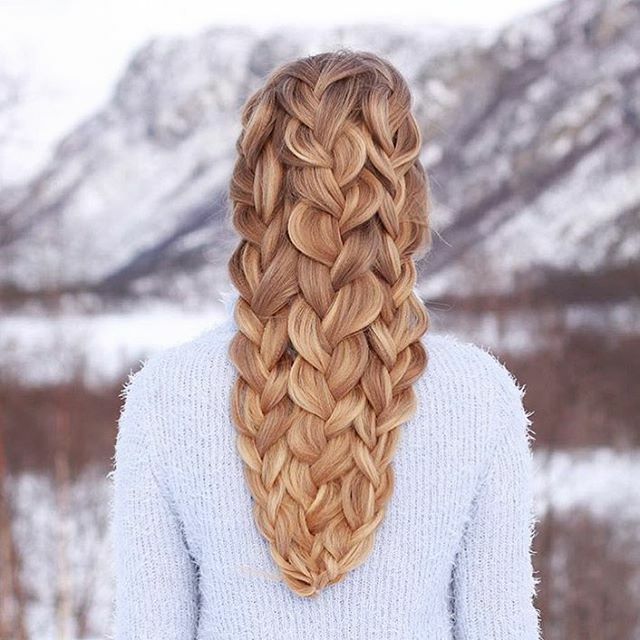 This hairstyle has one braid combined with another. It might look very complicated but once done, it will look gorgeous. Be it short hairstyle or long hairstyle, the triple braid will look amazing on just about everyone. 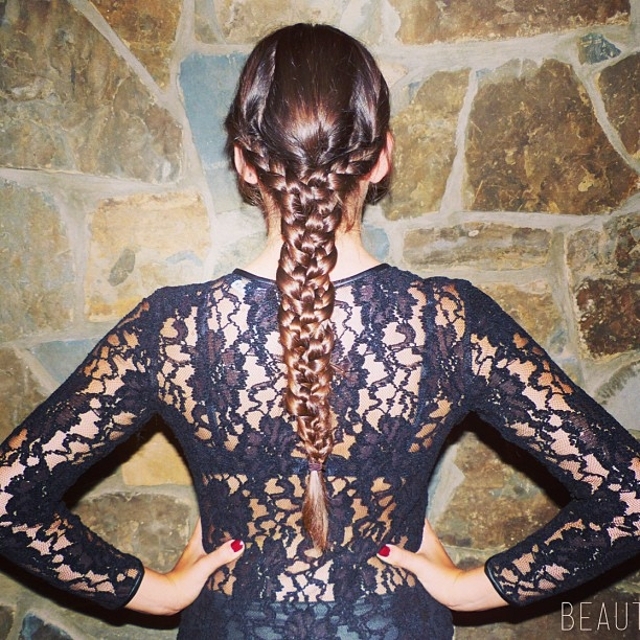 Next time you want to style your hair, don’t forget to try the triple braid hairstyle. You will look and feel like a princess.